A conversation with your customer is the best possible way to interact with your clients as it allows you to engage them directly and personally in conversation and not indirectly through an EDM or advertising. What if you could actually thoroughly monitor and analyse these calls? 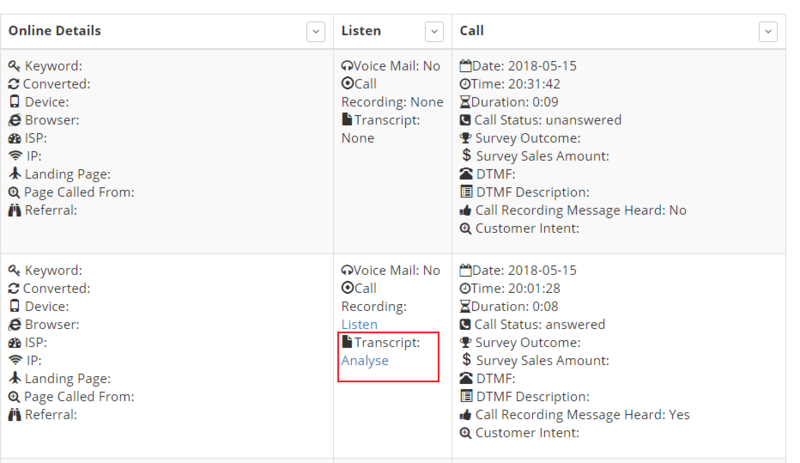 Our call transcription product not only transcribes calls for you but can analyse certain elements of the call to help you make better decisions. The complex analysis of calls can assist you in constructing better marketing campaigns, upskilling staff as well as improving the overall customer experience. Our Call Transcription feature sits alongside your phone system so there is no need to make any changes to your existing infrastructure. Calls are transcribed in almost real time and will be available shortly after the call has finished. Speech Analysis allows for the easy navigation of transcribed call statistics. You are presented with data such as call category distribution, keywords and other pre-determined fields specific to your business or industry. This allows for a truly personalized experience that will take into account your customers and any factors unique to your business. The analysis provided will pick up the gender of the caller and the operator who answers the call. How can I use all this Analysis? By analyzing for specific key words, you can determine the overall quality of the phone call. Did the call result in a sale, complaint or something else? 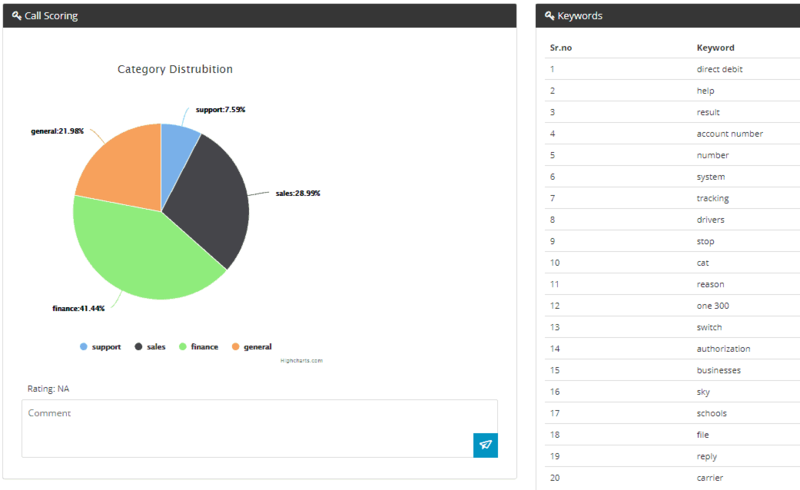 Set your call tracking solution to analyse for specific keywords that indicate the call outcome. These may be sale specific keywords such as ‘buy’, ‘purchase’, ‘order’, ‘re-order’ and the actual dollar value of the sale or complaint keywords such as ‘not-happy’, ‘broken’ or ‘not working’. This data can then be fed into our reports as well as a number of marketing software platforms and your CRM. If you want to find out if agents are following scripts appropriately you can set your call tracking solution to analyse for scripted keywords. This can then be married up with your sales data to see if an agent is not using the appropriate script is under-performing in sales. Speech Analytics will help to maintain and improve the quality of your calls by identifying any negative calls and bringing them to your attention. A more thorough look into calls that may have not resulted in a positive outcome will allow you to provide agents with targeted training. By effectively listening to every conversation, you can assign values to a conversation based on your own metrics to come up with a lead score. Lead scoring can help work out which agents are performing best, what strategies are leading to a conversion and which campaigns are driving the most valuable sales calls. How can it help me get a more accurate CPA? We all know that not every single call can be physically listened to and analysed. However, a call transcription and analytics solution can help do this for you. By listening for and analysing keywords that are aligned with your campaign goals, including the value of a sale if a sale occurs, the data can be used to help improve your CPA accuracy. If you would like more information about call transcription and the analytics available, get in contact with us today. 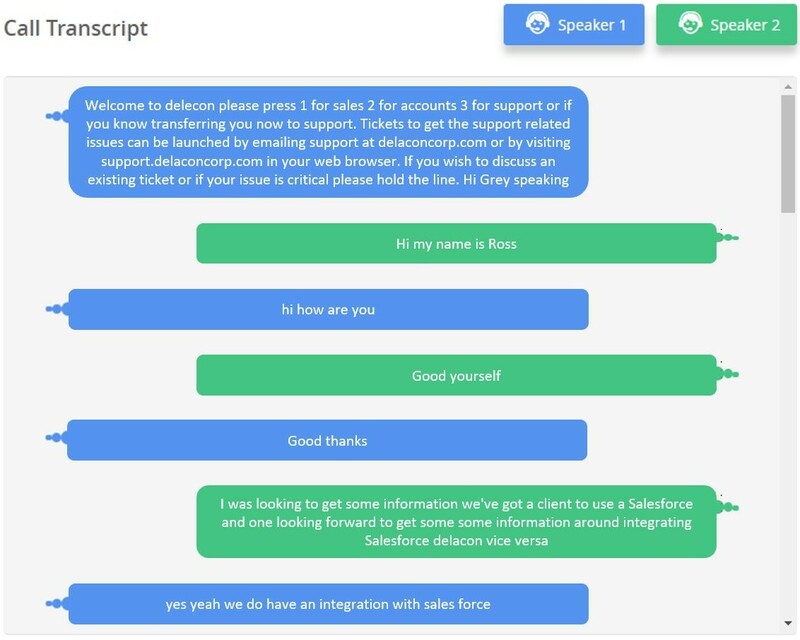 A speech analytics and call transcription API has been developed which allows you to integrate speech analytics data directly into your system.